This week we are playing two Beethoven Romances and Mozart Symphony 41 "Jupiter" at a concert in Jämsä. Since we're doing it all on wooden flutes I thought that it would be the perfect time to share a little bit about why we play them and what makes them so great. Whenever I pull out my wooden flute for work, I get a lot of questions from my flute friends back home, like "What? Did you buy a wooden flute?!" "What does it sound like?!" "What are you playing on it?" "Do you like it?" 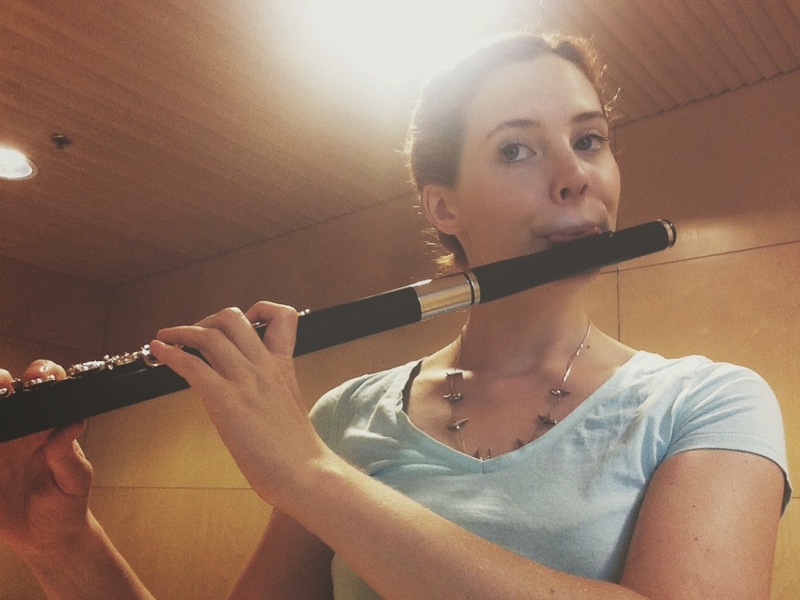 I'm a wooden flute newbie, but I will share what I've learned this year! Did you buy a wooden flute? I'm happy to say that I did not have to buy a wooden flute. It is common in Finland, and perhaps many orchestras in Europe, for the orchestra to own a wooden flute for each member of the section. It's not like the orchestra piccolo or alto flute, that is passed around and shared, but I have a wooden flute that is "mine." It's made by Sankyo from Grenadilla wood. I've recorded some sound clips, so that you can hear for yourself! When I started playing it this winter, I couldn't believe how sweet it sounded. I was expecting something similar to a traverso (baroque wooden keyless flute), but the actual sound is so near to the silver/gold flute that we are familiar with. I still sound like myself, after all, it is a Boehm flute! I've recorded the opening theme of the Beethoven Romance Op. 50 on both the wooden Sankyo flute, and my usual flute (14k Brannen with Lafin headjoint). What are you playing on it? We usually play everything written before and during the classical era on the wooden flutes. We did the JS Bach St Matthew Passion for Easter, and that week we played wooden flutes. It was unbelievably easy to blend with the strings, oboes, and keyboard instruments. It sounded so holy! I loved it. This week it is Mozart and early Beethoven. I think that the silver/gold flute is perfect for classical and baroque music when the flutist is a soloist, or even featured as in the Mozart Flute Quartets. However, when playing the wooden flute in orchestra, I felt like I finally understood what was really intended by the composers of earlier eras. After loving the sound of my wooden flute, I decided to try putting the headjoint on to my regular flute to see what it sounded like. It didn't fit, I had to use some plumber tape to get it to seal, and this headjoint is not intended to be played on a silver/gold flute, but it sounded like heaven! It is the perfect mix of flutey sweetness and the shimmery powerful sound we all love. This began my research into wooden headjoints: where do I get one, who makes the best ones, does anyone else play them, is it "acceptable" to play for everyday (non-period music) use. 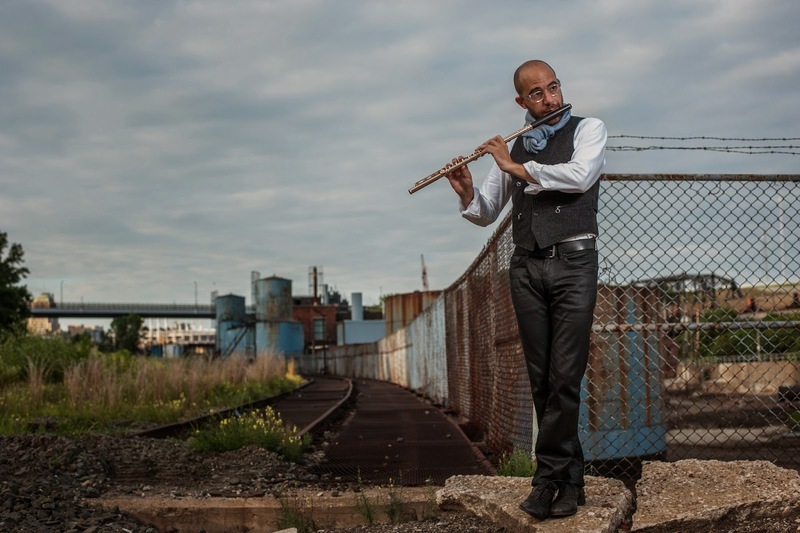 First of all, Joshua Smith, principal flutist of the Cleveland Orchestra plays a Folkers & Powell wooden headjoint with a gold Powell flute. This is his usual set up, so immediately it answered my questions that it was more than acceptable and definitely powerful enough. He sounds amazing, seriously, take a listen if you haven't yet. He was kind enough to even email back and forth with me a bit about where I could find a wooden headjoint because I quickly discovered that Folkers & Powell is no longer making headjoints. Thankfully wooden headjoints are becoming more popular so Nagahara, Powell, Mancke and DiZhao are making them just to name a few. There are also a few makers that make wooden headjoints exclusively including Kotel, Abell, and David Chen. I can't decide if it's incredibly old school or forward-thinking, but there are a few flutists who play entirely wooden flutes all the time. Berlin Philharmonic members, Andreas Blau (recently retired Principal Flutist) as well as Michael Hasel both play wooden flutes made by Braun. There are some sound samples on the Braun website where you can hear for yourself that the wooden flute can have amazing projection and adapts to music of all eras. 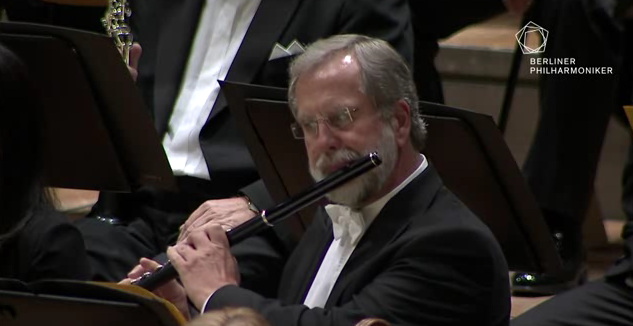 Also Saeran St. Christopher, second flute of the Cleveland Orchestra, plays on a wooden flute. You can hear her playing with principal Joshua Smith, in this video on Joshua Smith's blog. I think that wood is so underrated, and I'm really enjoying exploring this old medium that is so new to me! Please feel free to share your thoughts and experiences with wooden flutes in the comments below. Thanks for reading!